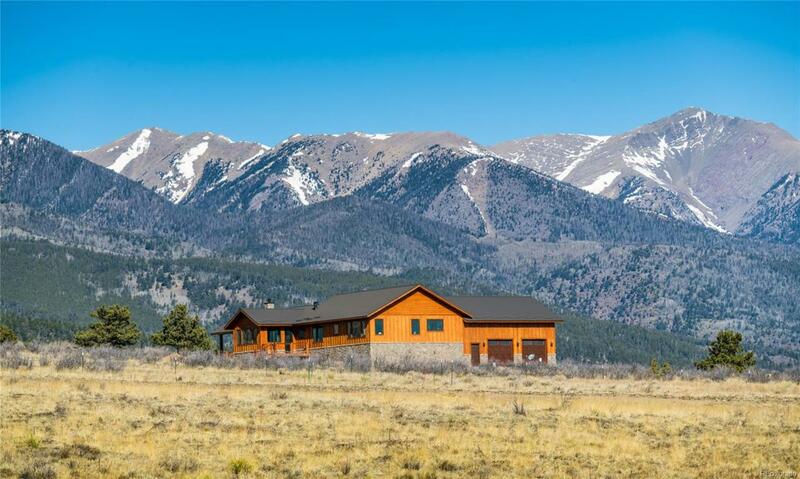 Nothing left out in the design & construction of this distinctive mountain home, from the lot down to the smallest interior detail - 2243 SF, 3 bedrooms, 3 baths, one level, 2 car garage, open concept living, dining & kitchen. Tastefully-done interior that lends itself to almost any decorating style, it's a clean palette to paint your own picture. Some of the special features include: efficient Tulikivi soapstone wood burning stove, rustic oak flooring, solid knotty alder doors & custom made floor/window trim, unique light fixtures, custom walk-in closets, 4' wide hallway, solid granite vanities & heated travertine tile flooring in master bath. Unique vaulted ceilings in dining & living areas & well-placed Pella windows that provide natural light & great views. Cook's dream kitchen " custom white oak cabinetry, Thermadore appliances, - steam, conventional/convection oven, 5 burner cook top & wood-paneled refrigerator & dishwasher, porcelain farm sink, & incredible walk-in pantry.